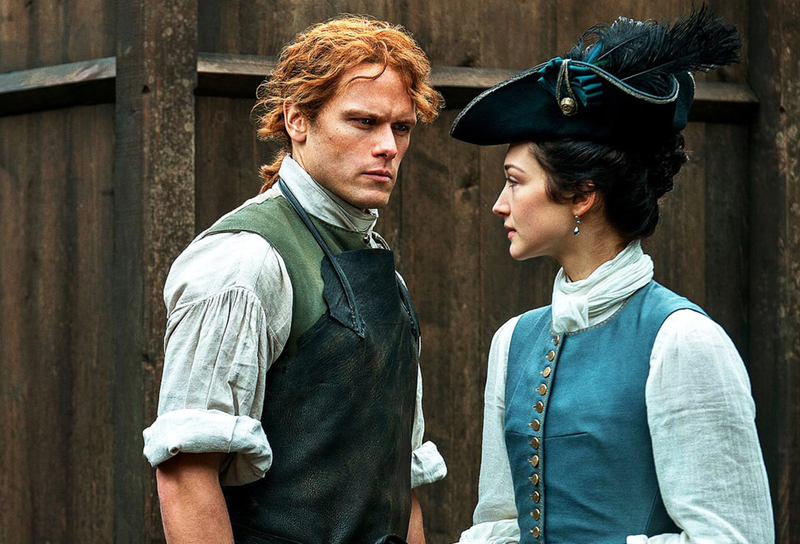 Season 3 Episode 4 of Starz outstanding television series Outlander is a romantic interlude par excellence, one that draws parallels from the past and teases the audience with new and outstanding characters, fine acting and a strong storyline as Jamie Fraser gains a new identity. 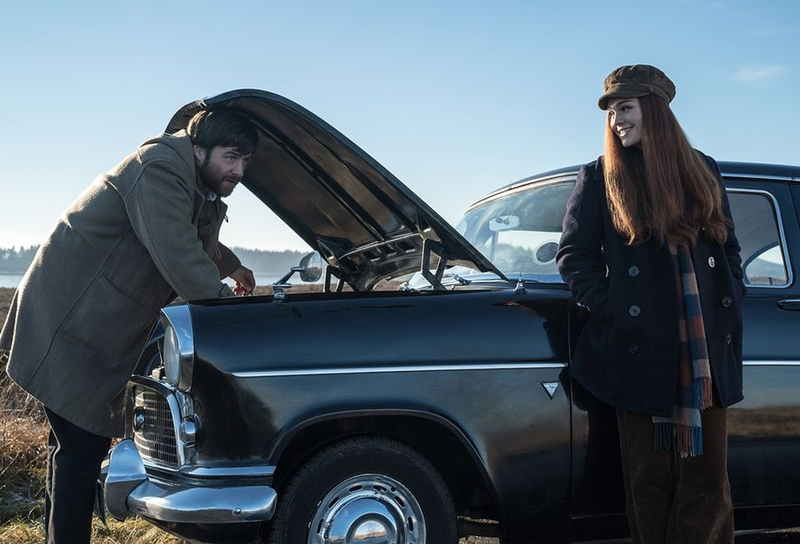 Claire Randall (Caitriona Bale) and her daughter Brianna (Sophie Skelton) are staying with Roger Wakefield (Richard Rankin) in his father’s house in Scotland taking time out from their lives after Frank Randall’s tragic death to conduct an intense search in historical records in an attempt to find Jamie. The trio discover James Fraser was in prison from 1753; until the prison closes in 1756 but face dead ends in the historical records after that. They look for the manifestos of ships transporting prisoners overseas but find they have been mixed up with those of a hundred years earlier in the place of the real ones from the period. 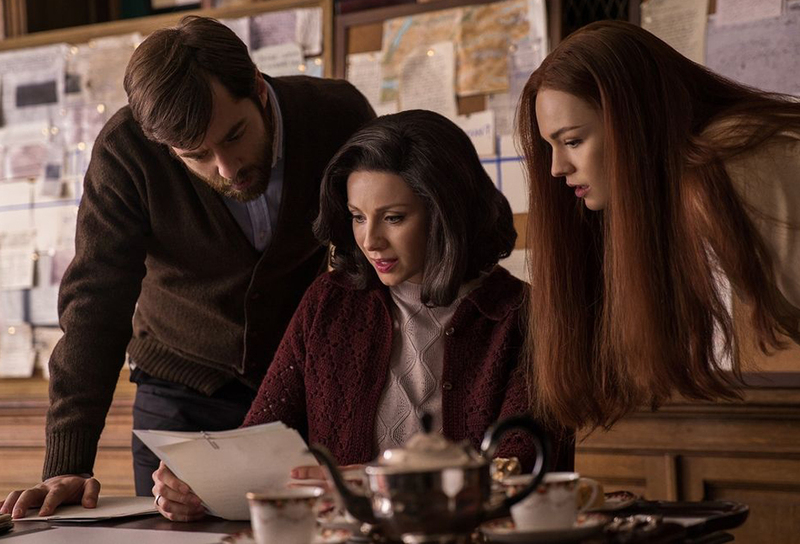 One can sense Frank Randall is totally involved here… his intervention with his friend the Reverend Wakefield whom he requested to find Jamie after Claire had returned to him, has certainly made sure the clues to his new whereabouts are well hidden. Frank didn’t want Claire to ever disappear again, not understanding he himself would die young. Mrs Graham the Reverend Wakefield’s former housekeeper once warned Claire about chasing ghosts in her attempt to find the love of her life, ‘Red Jamie’ Fraser but now Frank is gone and their daughter Brianna all grown up and on her own path, what else would keep Claire from being back at Jamie’s side. Going home to Boston without finding him will be an agony. 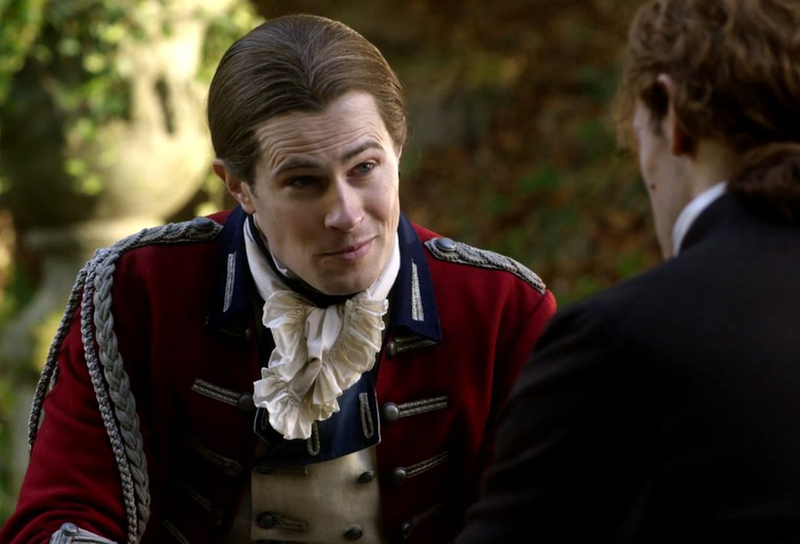 Meanwhile the kindness of Sir John Grey (David Berry) in saving James Fraser from transportation or worse has paid off. The English Milord William Dunsany (Rupert Vansittart) at Helwater Jamie’s new master is a warm compassionate man, who not only knows all about his charge’s crimes, but also offers him a fresh start with a new name; Alexander MacKenzie. It’s no wonder Claire cannot find him. 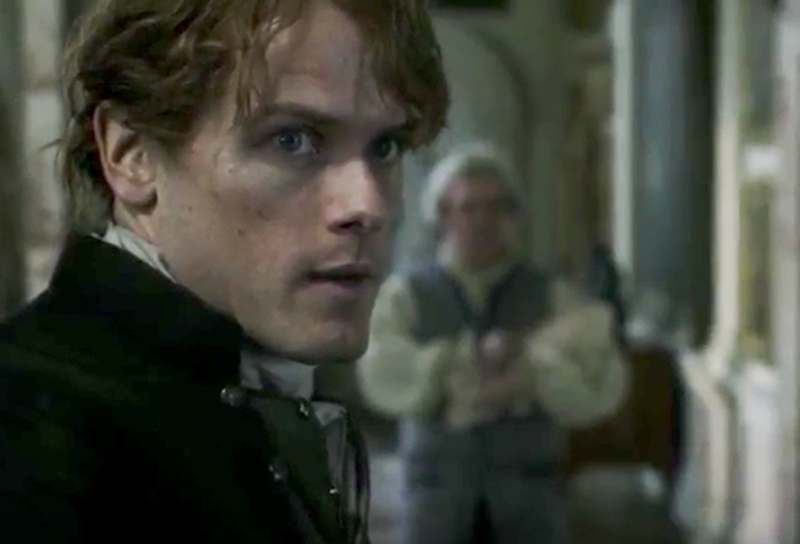 The ghost himself Jamie Fraser is in fine fettle and outstanding form. 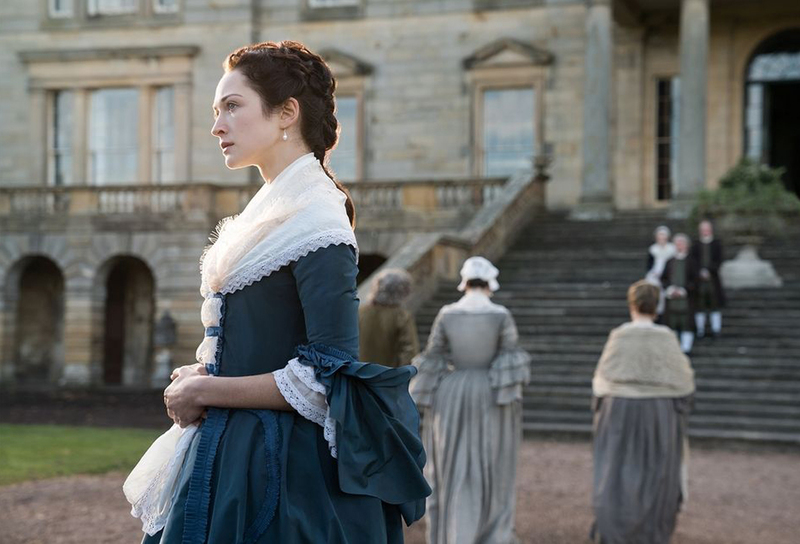 The centre of gravity in the storyline has switched from Claire to Jamie and his character as central to proceedings. So much so that by half way through I was wishing Claire and her continuing search would just go away and give us all a night off so we could concentrate on what was happening to Jamie, such was the power of his influence and Sam Heughan’s truly fine performance. 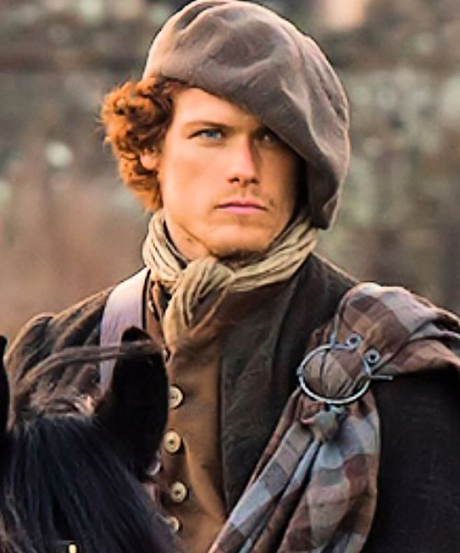 Sam Heughan inhabits Jamie and his character in this episode so well, it is easy to get lost within his struggles to make some sort of new life for himself at Helwater. Thank heavens he at least gets to be clean, a groom looking after the horses in his Lordship’s stables. 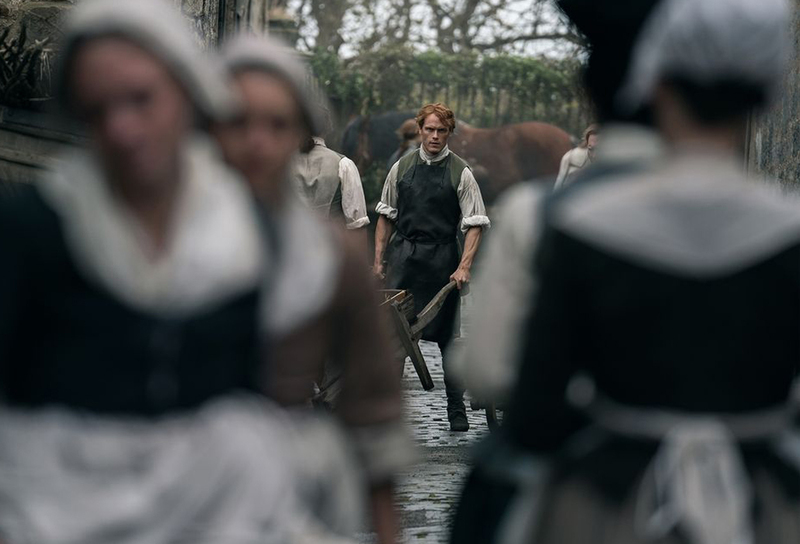 It’s not his physical strength, which we know Jamie has in abundance, but his emotional strength that will be required now if he is survives the events that are about to befall him. There’s a new antagonist on the scene to taunt and terrorize him with her threats, a powerful intelligent young woman whom you have to look at twice to realise it’s not Claire, such is the resemblance. It is also shades of Black Jack all over again, because it is she who will now blackmail him to come to her bed. 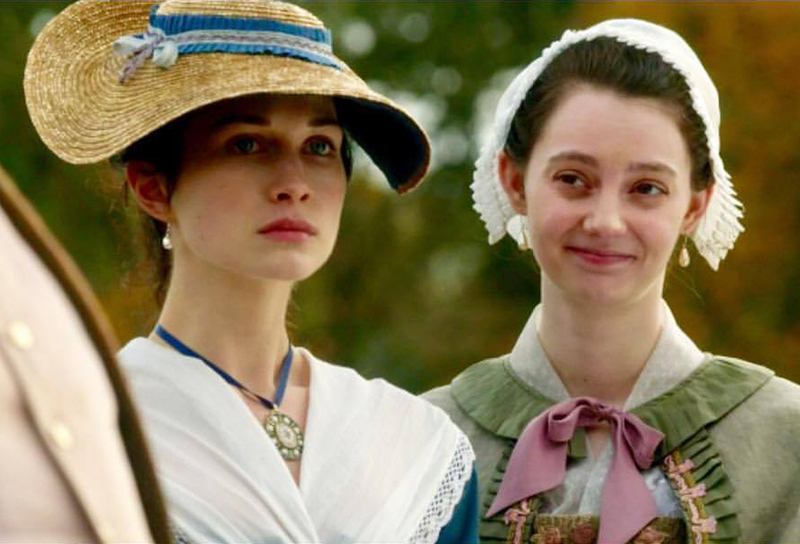 Geneva Dunsany (Hannah James) is a Scarlett O’Hara of the modern era, a young woman well used to getting her own way in all things and she’s discovered who Jamie Fraser really is from her father. She is entirely unhappy and disgusted with her lot in life… as she’s been bartered off by her father, as was the custom, to become the wife of the Earl of Ellesmere, a man well beyond middle age in need of an heir. She latches on to the Earl’s dislike of Jamie’s red hair, which draws her father’s new groom to her attention and so diverting attention from her interest, she calls Jamie a “useless Scotchman”. When he comments, “A boot on the hindquarters is what that one needs,” behind his hand to one of the other men, her sister the very kind and caring Isobel (Tanya Reynolds) overhears him and laughs. She also asks after Lord John Grey, whom she has known for a long time. He senses her feelings and knowing his saviour’s sexual preference, tries to dissuade her by observing the “military and marriage are no easy bedfellows. The next morning when Geneva arrives in the stables where all the grooms draw straws to see who will fetch her horse and take her on her ride, she surprises them all by demanding Jamie accompany her; she enjoys the ‘class power’ she has over him, understanding she can blackmail him as she wants to get her own way. 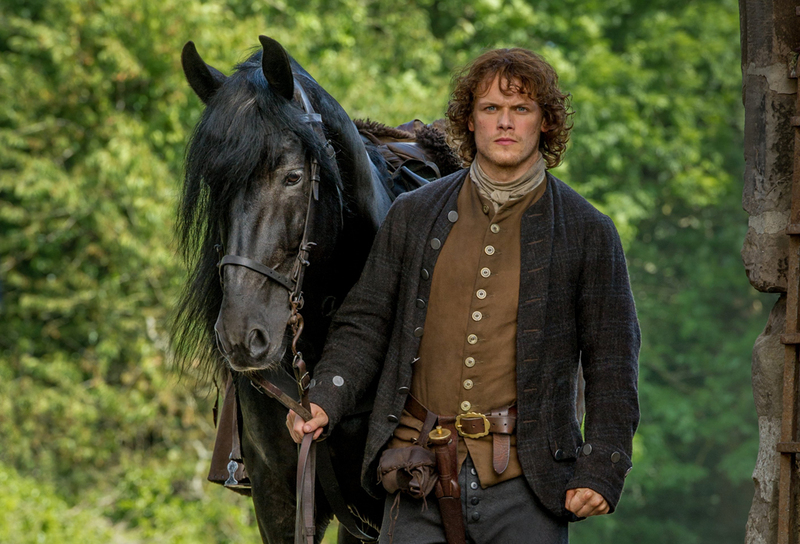 She pretends to fall off her horse, and when Jamie races to the rescue starts giggling. Not catering to a women’s tantrums he drops her in the mud but again she laughs, loving the game. “I look forward to our next ride!” she says taunting him. Lord John Grey visits Jamie regularly and the two play chess and when his brother Lord Melton (Sam Hoare) arrives and approaches his brother with both Dunsany sisters on his arm, Geneva senses the tension between he and Jamie. It’s clear he’s unsettled because he did not know his brother had rescued Jamie from yet some other hell hole and realises there must be a physical attraction between them, not knowing his younger brother will not act on those feelings. 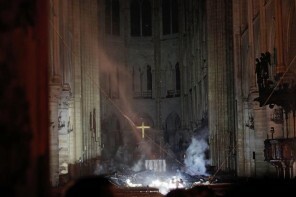 It’s a promise he’s made to himself and they now both have a friendship forged in the fires of hell and damnation, one that will not be easily broken. The haughty Geneva summons Jamie to her room that night, three days before her wedding night. She’s not wanting to yield her maidenhead to an old man… she wants vigour and youth on her side. Being a compassionate caring man, Jamie treats her well and the next thing we know is she’s married, back home visiting her family and with child, Jamie’s son. The day of young William’s birth is traumatic in the extreme; the Dunsany family being summoned to her side, take Jamie along with them. Events take a tragic turn after the birth and Geneva dies, as they are unable to stop her bleeding. Her husband has a knife and is threatening to kill the baby because he knows it’s not his. Jamie summoned to help finds his Lord who is holding a gun on the Earl, endeavouring to defuse the situation. 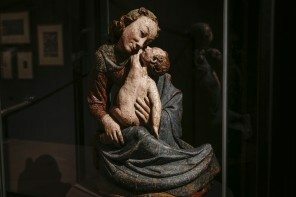 He persuades him to put the gun down for the baby’s sake. He obliges Jamie who takes it… and Lady Dunsany requests the baby be given to her. However the Earl threatens to kill it with his knife rather than let them have it and Jamie is forced to shoot him dead. Back home at Helwater he comes across Isobel out walking the baby… she knows it is his and thanks him for being kind to her sister, who she knows was a difficult woman. Lady Dunsany, who now also knows Jamie is a former Jacobite also thanks him from the bottom of her heart. She gives him the coroner’s verdict and the families gratitude and offers him his freedom. Although he could leave… he tells her times are hard and how he sends his money home to his family. If she will allow it, he asks, he would like to continue in her service. Agreeing she adds “…when you are ready to leave: she says, “you only have to ask”. He watches over the growing William (Clark Butler), teaching him to ride and guiding his early formative years… but there is a point where Jamie realises people are starting to notice the resemblance between them and its perhaps time for him to leave before they discover the truth. 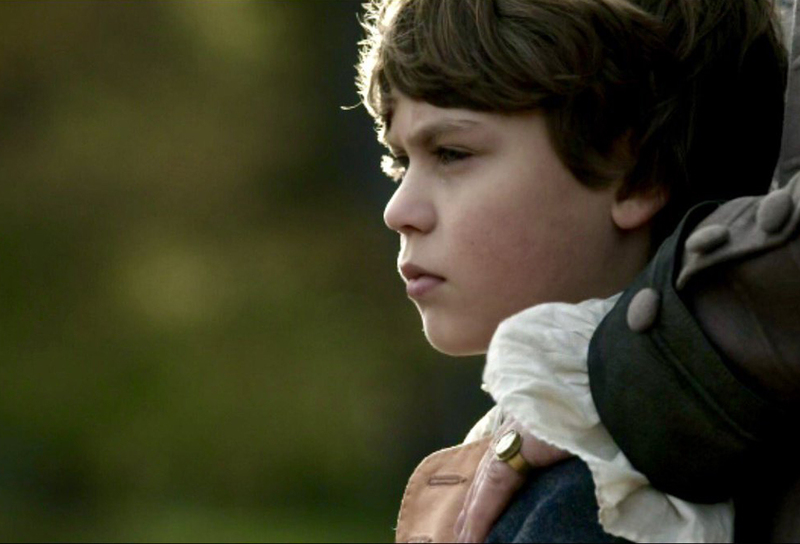 Lord John Grey also agrees it is time for his friend to go… people are commenting how the boy has the same set to his shoulders and a way of holding his head that is Mackenzie’s own. 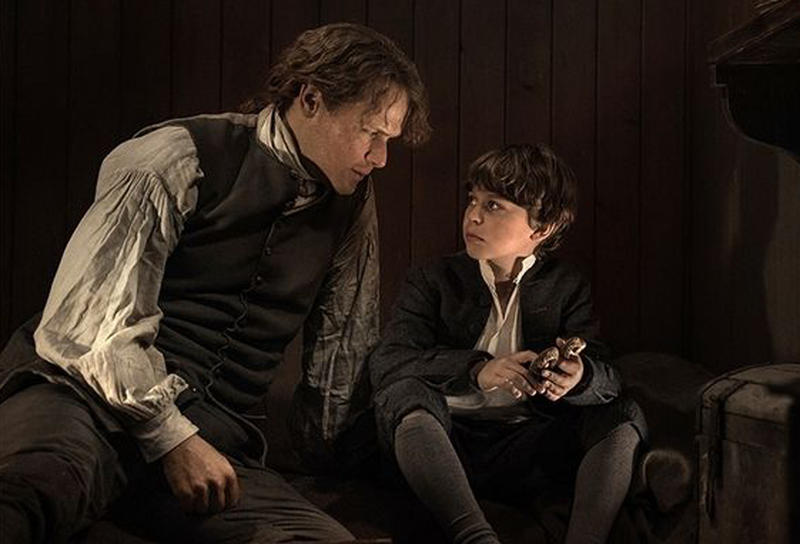 Jamie asks Lord John if he will be his son’s father in absentia, offering himself… body and soul… but is rejected by a man who declares he will love him to his dying day… Jamie discovering his friend will now be in a position to look after his son legally. 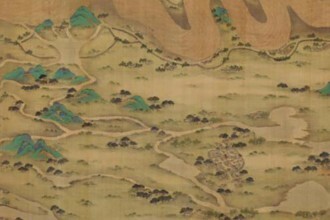 He tells him he and Isobel are to be married and promises Jamie to be a good husband to Isobel of whom they are both fond, and to look always to his son’s welfare. 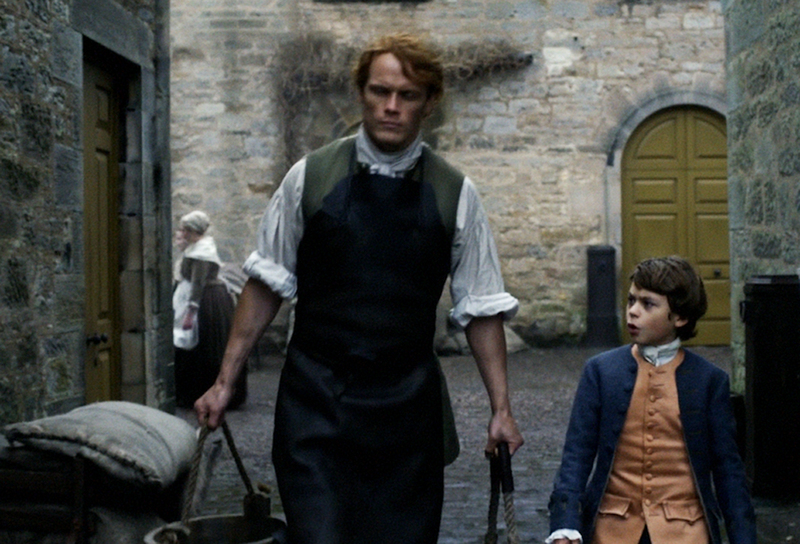 Jamie knows William will be in good hands and finally leaves to go home to Lallybroch and his family, explaining why to wee William first, perhaps his hardest task to date.